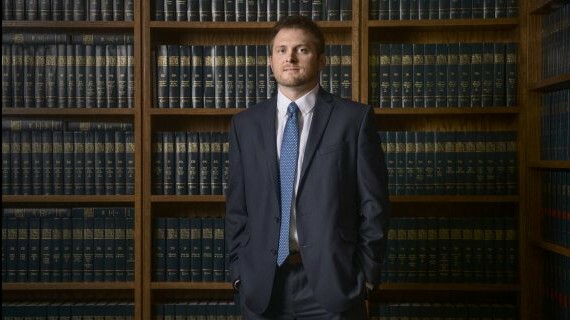 B. Gene Taylor, III (“Gene”) is a trial attorney with a commendable record as lead counsel in state and federal courts. Gene represents both plaintiffs and defendants in a wide range of disputed matters, including the areas of commercial and corporate litigation, succession contests, construction litigation, employment contract/restrictive covenant disputes, as well as personal injury and products liability claims. Gene also represents criminal defendants charged with serious crimes. Gene is at home in the courtroom, and his experience in a diversified array of legal areas is an asset to his clients at trial and on appeal. Gene maintains the highest peer review rating of AV® Preeminent™ in Martindale-Hubbell. Acts as a first chair litigator in a multitude of legal areas. Obtained multiple defense verdicts for construction companies arising out of claims for breach of contract and defective construction. Successfully represented disinherited heirs in estate litigation, resulting in judgment annulling the decedent’s testament on the basis of undue influence. Negotiated favorable settlements for plaintiffs and defendants in cases involving injuries, death, and property loss. Obtained appellate court reversal of trial court judgment against client for breach of fiduciary duty, breach of mandatary authority, and fraud. Successfully represented board of trustees of historic church at trial and on appeal in removal of pastor through a writ of quo warranto and injunction. Obtained trial court judgment in favor of commercial landscaping company, resulting in award of damages and retention of corporate property arising out of claims for breach of employment contract, breach of non-compete clause, and unfair trade practices. Represented numerous clients in mediation, trial and on appeal in redhibition cases related to agricultural commodities, residential property, and commercial equipment. Successfully represented major commercial trucking manufacturer against claims for wrongful death and violation of the Louisiana Products Liability Act. Successfully represented restaurant holdings company against individual and derivative claims of an alleged partner seeking recognition of ownership in a $30 million business acquisition, resulting in summary dismissal of all claims and per curiam affirmance on appeal by the United States Fifth Circuit Court of Appeal.